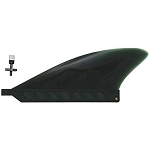 The Power Flex fins are a Pro Teck fin with a medium flex core. They are stiffer than the Super Flex fins, and are recommended for more intermediate to advanced surfers. The fin bends when the board turns and then springs back, creating forward thrust like a swim fin. The medium flex core and flexible trailing edge makes the board turns smooth and fluid, with continuous speed. 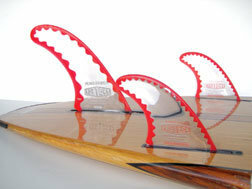 If your looking for a more flexible fin check out the Super Flex Fins.